Please click on the Promo Pack to view the resume of David John Miller. Play the David Miller Originals and Covers at Soundcloud.com/ DavidMiller61 For a sample of the blues and jazz songs that David's groups perform, please click on the setlist. David Miller can also supply jazz groups that perform many of the favorites on this song list. 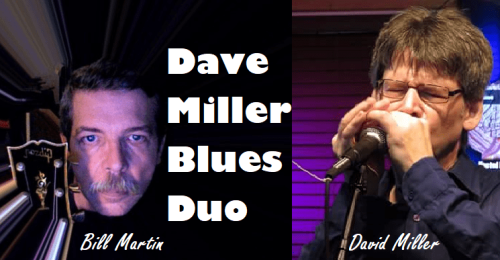 David J. Miller is a multiple genre Harmonicist, Vocalist, Guitarist, Teacher, Promoter, President of Jazz Unlimited of Greater Milwaukee, and Owner of David Miller Live Music. David Miller was also mentored by the legendary late Tom Radai in event promotions. These functions included the Wisconsin Annual Blues Harmonica Festival and Tribute Blues Concerts featuring international blues musicians, such as the James Cotton Tribute Concert 4-9-17. David "Harmonica" Miller founded the Wisconsin Annual Blues Harmonica Festival in 2013, which highlights an all-star line-up on the 3rd Friday in November at the VFW Post 5716 in New Berlin WI. Miller is in charge of organizing and supplying all the necessary digital and printed promotional material for the Wisconsin Annual Blues Harmonica Festival. 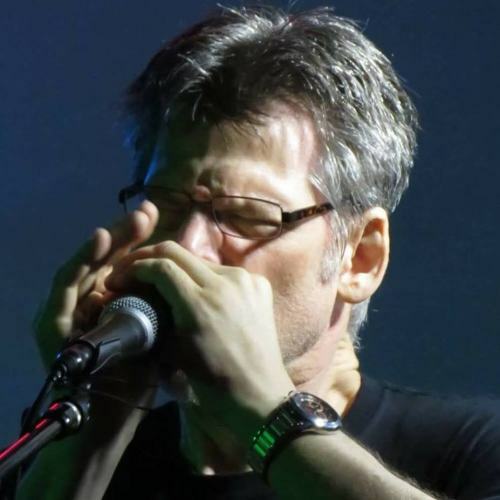 David Miller was introduced to the harmonica back in 1972 by his late father at the age of eleven years old. Dave’s dad was his mentor, but his other influences also included: Charlie Musselwhite, James Cotton, Billy Branch, Little Walter, Big Walter Horton, Sonny Boy Williamson II, Junior Wells, to name just a few. David Miller has appeared throughout the Midwest. Some of the venues included the Wisconsin State Fair, Summerfest, Sherman Fest, as well as various Chicago clubs. Miller has played with Billy Branch, the legendary Aaron Moore, Willie Kent, Billy Flynn, Aron Burton, and Johnny Rawls. Born in 1961, David John Miller was raised with honest work ethics. David’s first job was at 13 years old, helping with odd jobs around his Uncle’s Hardware Store. This first gig started a solid foundation for a successful life of work in many fields. Miller worked many jobs in his life, always giving 110 percent. David Miller started playing clubs in 1980, and called his group the Dave Miller Band. After going through a life changing time September 11, 2001, David found how precious life was then and even more today. After losing his job on 9/11 and getting a divorce sometime later, an epiphany of becoming a full-time musician became reality in 2008. Today Miller lives life to the fullest, enjoying music and hobbies. Supporting himself is an obvious necessity, but health and happiness is the first priority. Yes, David is a full-time musician and promoter, but also fulfills his appetite for inner peace. The Dave Miller Band provides a high energy eclectic repertoire from Blues-Rock fusion to Jazz and Blues. You can buy the David Miller originals securely on the Music Store page! The members of the band are as follows: David J. Miller (harmonicist, vocalist, and guitarist), Bill Martin (lead guitarist), Hal Miller (bassist), and Andrew Wilson (drummer). 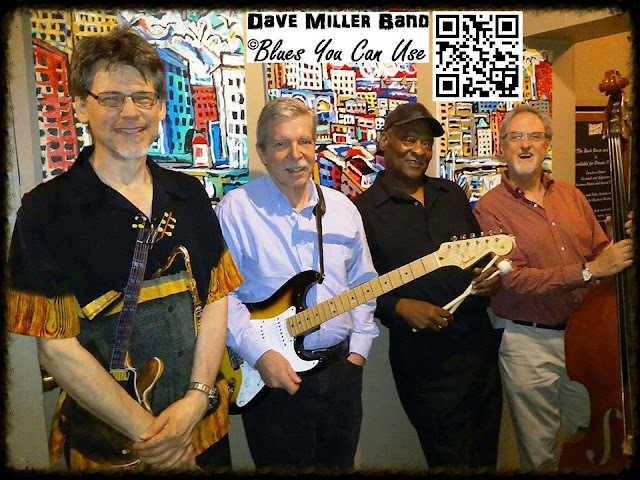 The 2019 WAMI "Blues Artist" Nominee - Dave Miller Band, are professional and highly experienced musicians eager to satisfy the fans and venue owners. For venues that require a smaller group, David Miller can provide the mellow tunes of a Trio, Duo or Solo Blues Show. Dave’s official business; David Miller Live Music, can certainly fulfill any venue with virtually any genre. Wisconsin Annual Blues Harmonica Festival 2017! 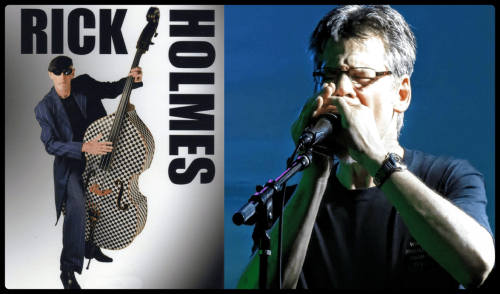 Wisconsin Annual Blues Harmonica Festival 2015 Returns to Serb Hall! Jazz Unlimited of Greater Milwaukee Jazz Open Jam 1/26/14! Jazz Unlimited MKE Hosting a Jazz Open Jam at 88 Keys Piano Martini Lounge! Jazz Unlimited of Greater Milwaukee Monthly Open Jazz Jam at 88 Keys Piano Martini Lounge! The Irish Jazz Boat with Live Entertainment by the Tina Moore Quartet! Jazz Open Jam with The Sharon Schmidt Trio at Papa's Social Club! The Festa Jazz Boat with Live Entertainment by the Kevin Hayden Trio! Jazz Unlimited MKE will be Sponsoring a Jazz Open Jam Session at Papa's Social Club!